Yesterday I went to Busan with Dave and some new friends. It was fun to play tour guide for the day. I also got to take them to my favorite place in Busan, the burial mounds! These mounds are the graves of ancient kings. Probably. This entry was posted in Uncategorized and tagged burial mounds, Busan, Canon EOS 600D, Dongnae, Dongnae Eupseong Fortress, eupseong, Lightroom, LR4, photography, travel by Meagan & Dave | HappilyEverExpat.com. Bookmark the permalink. wow … I’m going to have to do some research on this now! Traditionally, Korean used large mounds to bury their royalty and their prized possessions. Smaller mounds are common nowadays. 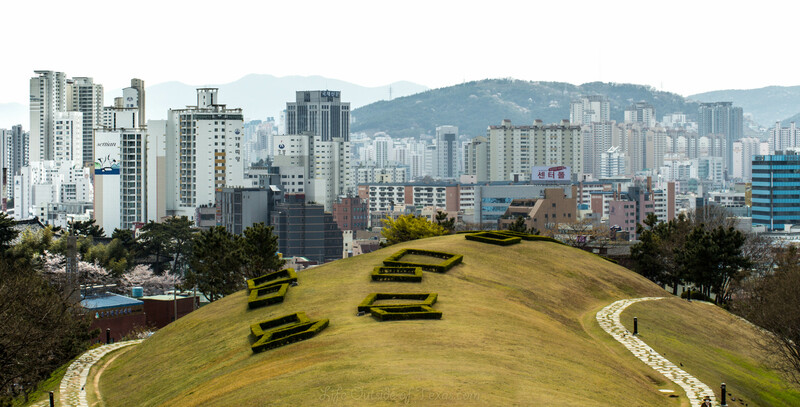 You can see mounds on the sides of mountains, where “average” Koreans have been buried.